Air conditioners installed in occupied spaces use refrigerant gas (freons) as they are non-toxic. However, a tubing tightness failure can cause a dangerous leak. Freon gas will then accumulate and replace oxygen in ambient air (and induce asphyxia). In case of leakage in the HVAC system leak, air conditioner refrigerant gas can potentially provoke asphyxia. This type of gas cannot be detected without a proper hvac leak detector. Refrigerants are odorless, colorless and heavier than air. If an AC refrigerant leak occurs, gas will accumulate from the ground up to the ceiling, reaching hazardous concentrations. 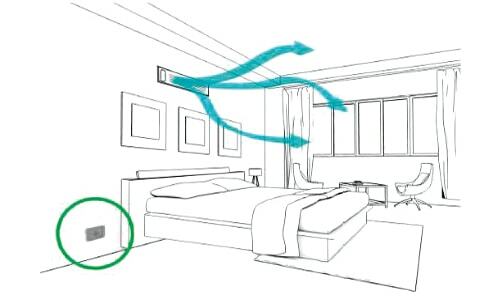 It will replace oxygen in the air, which will cause asphyxia to people present in the room, office, or other in habited space affected by the leak. to hazardous levels from the floor up to the ceiling replacing oxygen in the air (which will cause dizziness, anesthesia, asphyxia, and cardiac arrhythmias). The MVR 300 is a self-contained HVAC refrigerant leak detector. This refrigerant gas detector is well-suited for any electrical installation and requires no additional work to ensure protection. As freons are heavier than air, the detector has to be installed close to the ground to detect any refrigerant leak. With a precise measuring range and a lower alarm set at 500 ppm, the MVR 300’s sensor will detect dangerous freon gas concentration before any potential anoxia. 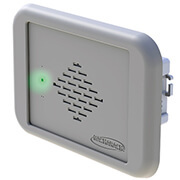 The MVR300 HVAC freon leak detector is more discreet than a smoke detector. It ensures monitoring of any potential hazard in case of an air conditioner malfunction. This is the solution chosen by luxury hotels in France and around the world like the Hilton Hotels. This autonomous freon detector also features a permanent self-diagnostic (for sensor status and alarms) thus providing highest safety levels. The opportunity to set a silent alarm (primarily for hotel rooms) will discretely alert the cooling equipment’s maintenance and security services. The refrigerant gas detector has to be placed close to the ground and near the AC output to quickly detect any gas leak. Installation and maintenance of AC systems is regulated by the EN378 standard. Since January 2017 the standard has been developed to promote some refrigerants over others. Some HFO feature excellent environmental properties that can likely have a long-term positive impact on climate change. Article 1 states that air conditioner owners must regularly control their AC installations. The maximal time period between two inspections is set in article 4. 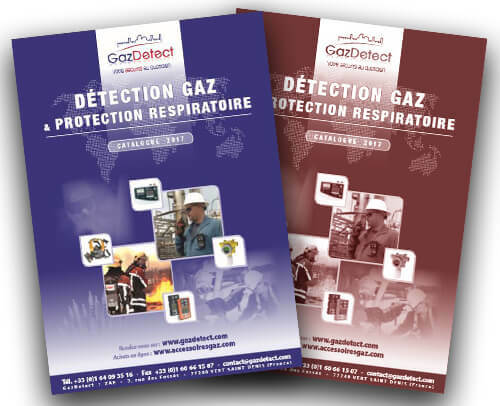 Thanks to a refrigerant gas detector for inhabited space like the MVR 300, this control is permanent and risks due to freon leakage are reduced. This solution is also cheaper than involving an external company to proceed to the inspection.